From the moment you enter our office, you will feel the positive energy that resonates within our relaxed and caring facility. 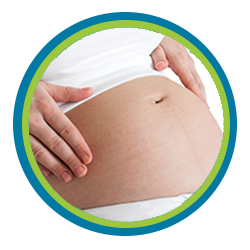 We place your needs first and foremost and schedule your appointments to immediately place you into treatment. Your cooperation in being on time--even early--will help us maintain this protocol for others. Many changes and new techniques of chiropractic have been developed in the last 5 years and Dr. Daniel Secrest, DC has been on the cutting edge of this emerging range of new methodologies. While hosting his radio health talk show, Dr. Dan brought many of the most progressive national and international doctors on the air-ways, to explain their innovative techniques. Dr. Dan also brought newly advanced equipment to his office on a side-by-side trial basis. Many of our patients from Scottsdale, Tempe, Mesa, Chandler, Paradise Valley, Fountain Hill, and Phoenix, AZ were eager to assist in the early evaluation process of both technique and modern equipment models. It was a very exciting time. In the opinion of Dr. Secrest, "the best selected protocols are now installed, tested and operating effectively, to provide superior care for patients seeking my services." Perhaps this is why 70% of Dr. Dan's new clients are by referral. What you can expect to happen. You have a right to be excited! Both you and the doctor want this chiropractic experience to bring you closer to good health. 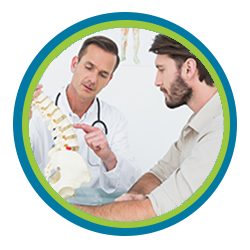 Should Dr Secrest accept your case, he is prepared to work as your doctor and coach, to help your body heal itself effectively, restore your former posture and bring greater energy and balance back into you life. Why such a long examination? Your most precious possession is your own body. It deserves attention to detail. The more thorough your examination, the better equipped the doctor will become, to recommend an "action plan" that will quickly get you out of pain and working to resolve the issues that have caused your decreased function. The second step, checking, tells the doctor if the body part is in its proper position, The base of the skull is used as an indicator and is akin to muscle testing (Applied Kinesiology or AK). The final step is correcting, where an adjustment is needed. This is a very specific adjustment using an FDA approved activation device that introduces energy/force/information to the body, to realign and remove nerve pressure. The "specific adjustment" involves no twisting, turning or "cracking" of joints and permits gentle adjustment in different positions. The specificity is very important, because sometimes a problem can only be reproduced in a certain position--such as "sitting," as you would, if in a car accident--and may not reveil the subluxated area when standing. Therefore, the patient must be analyzed and adjusted in a sitting position. You may be surprised, after the doctor has adjusted you, if he then directs you to, "OK, now let's see if you can get into a position where it still hurts." What can I expect to happen after my first adjustment? Most people report a feeling of ease, relaxation and well-being as their structural nerve stress (subluxation) releases/diminishes. Some people feel very relaxed and they should listen to their body; go home and sleep, if possible. The next day, some people feel as if they have had a good workout, often in places they never knew existed. This typically is only after the first adjustment, is temporary and usually disappears within a short time. On occasion, patients have reported "cleansing" symptoms, such as diarrhea, mucus, headache, fever, pus, etc., as toxins leave the body. Again, these are usually temporary and it is helpful to tell your doctor, if any unusual symptoms arise. They may also take the form of emotional releases; old memories coming up or unusual dreams. People have many layers, because they have traveled many different roads in life. After the specific correction of "complaint" (what the body is showing at the time of your first visit), older injuries, older distortions, older subluxations and older symptoms (both physical and emotional) may surface to be released. The release of subluxations created by old injuries is known as "retracing" and is usually part of the healing process. For more information, ask for a copy of our brochure on "Memory Retracing." Sometimes an area is so weak and the distortion so extensive, that a segment put in place may not stay in position and may need correction again. This may also be due to dehydration, so please drink plenty of water. We will also administer cold laser treatments, to lessen inflammation and help enhance the natural healing process of the damaged nerve.